The vehicle had a maximum speed of 40 miles per hour on roads and 3.8 miles per hour in water. When afloat, the freeboard varied from about 6 inches for the steel hull vehicles to approximately 10 inches for the aluminum hull version. The cruising range on roads was about 350 miles. Pilots PI and P5 arrived at Aberdeen Proving Ground during the Summer of 1965 for engineering tests. P5 was then shipped to Fort Henning. 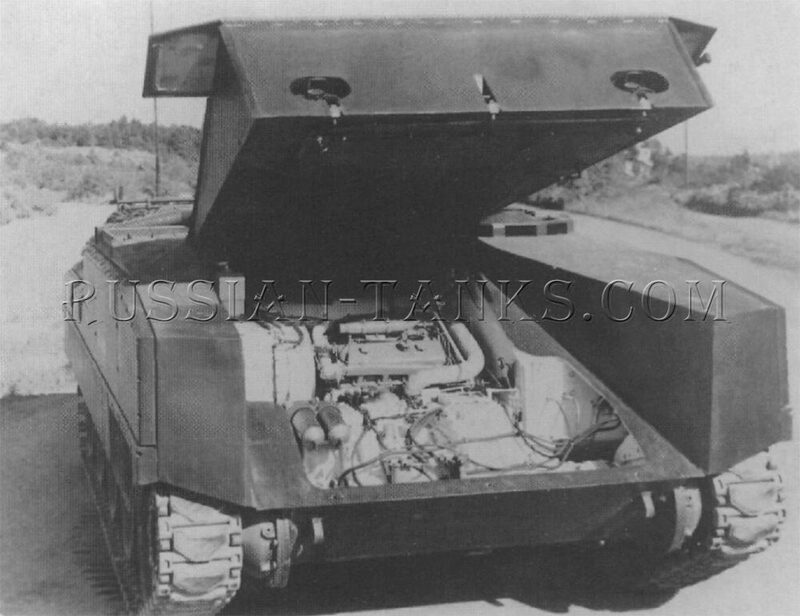 P2 and P4 went to Fort Knox and P3 was shipped to the Yuma Proving Ground for desert tests. 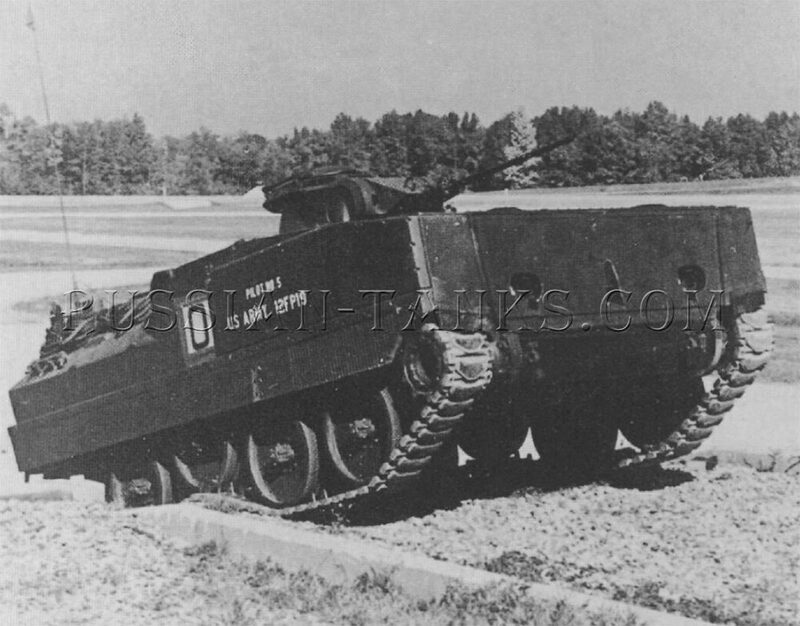 Although the XM701 was an interim vehicle that never went into production, its development and test provided useful information for the MICV-70 program. 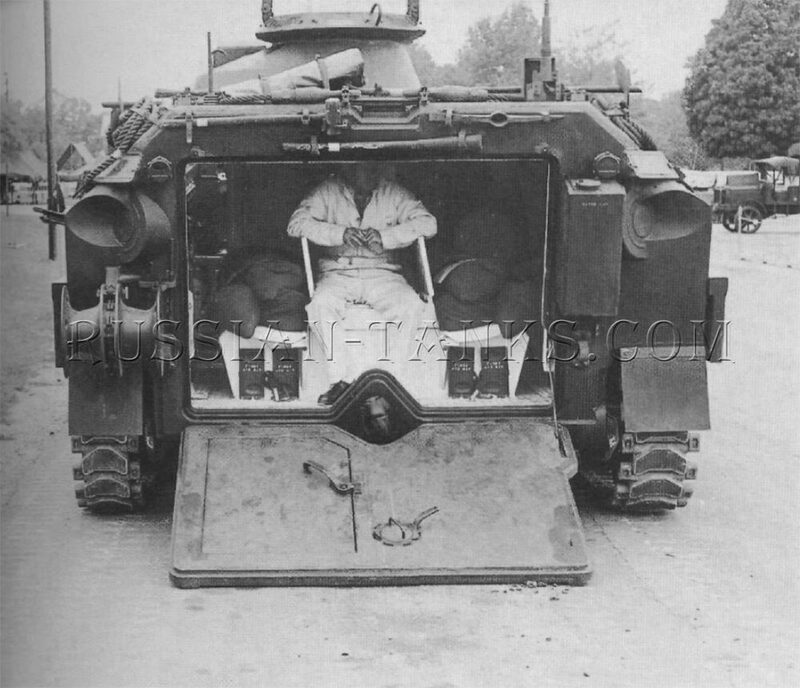 A project with the title "Mechanized Infantry Combat Vehicle Family - 1970" was initiated in October 1965. 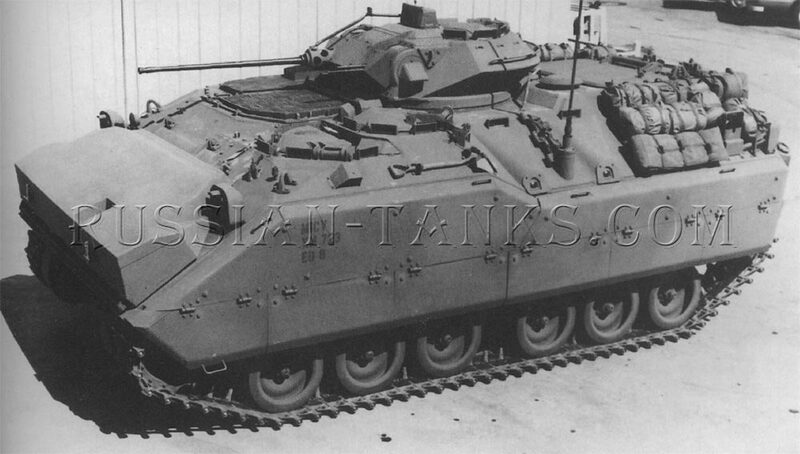 As the title indicated, this project envisioned the development of a vehicle family paralleling that based upon the M113 armored personnel carrier. It would include weapon carriers, command posts, communication vehicles, ambulances, and other vehicles in addition to the basic MICV. 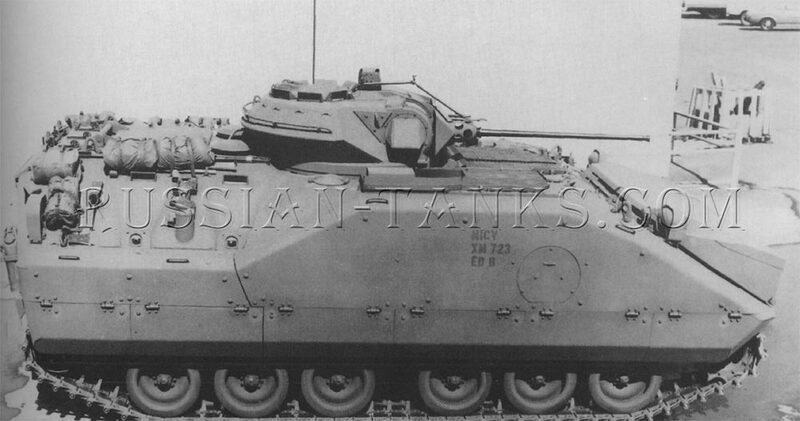 A design and cost effectiveness study began immediately with the objective of type classification in 1970 parallel with the MBT70. Like its ill fated companion, the MICV-70 program was to be drastically modified. The diversion of resources to support the war in Vietnam resulted in serious delays to all of the modernization programs. Unlike other wars that accelerated weapons development, this one slowed its progress. 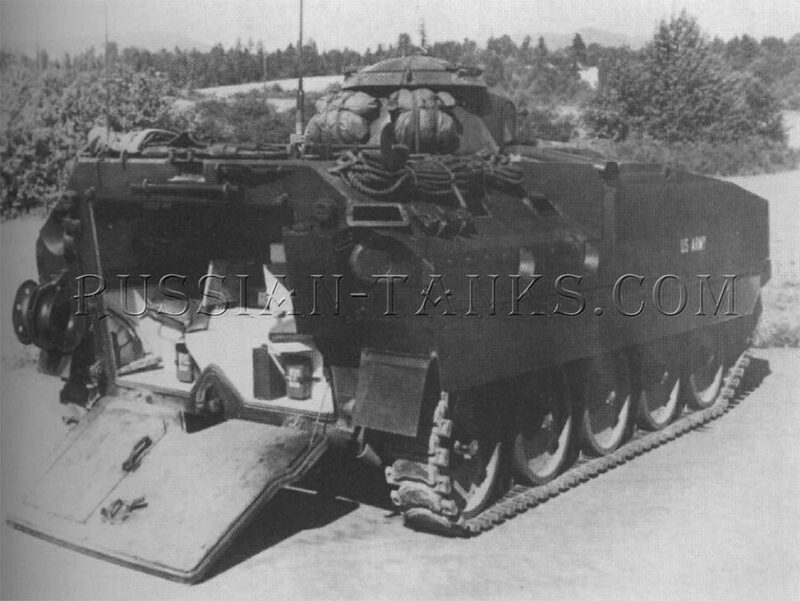 After the end of the MBT70/XM803 program in 1972, the U.S. Army Tank Automotive Command (TACOM) requested proposals from industry for the new MICV which much earlier had been designated as the mechanized infantry combat vehicle XM723. Pacific Car and Foundry Company, Chrysler Corporation, and FMC responded with proposals. The FMC concept was accepted and they were awarded a contract in late 1972 to construct three prototypes, a ballistic vehicle, and 12 pilots. The first prototype was delivered in 1974 and all three were completed by the Summer of 1975. In many ways, they resembled the FMC AIFV, although they were larger and heavier. The Cummins VTA903 diesel engine was installed in the right front hull. Developing 450 gross horsepower at 2,600 rpm, it was coupled to a General Electric HMPT-500 hydromechanical transmission. The front mounted final drives and sprockets drove the 21 inch wide, single pin, tracks. A torsion tube-over-bar suspension supported the recovery vehicle on six dual road wheels per side with return rollers. The XM723 was assembled using 5083 aluminum alloy armor except for the sloped sides. These were 7039 aluminum alloy armor. Spaced laminate steel armor was added to the vertical sides and rear. Frontal protection was enhanced by a the trim vane. At least two different high displacement trim vanes were installed on the prototypes. The crew arrangement was similar to that in the AIFV with the driver in the left front hull and the commander immediately behind him. The driver was provided with four periscopes and the commander with five periscopes in the hull roof around their hatches. The gunner was in the turret just behind the power plant compartment. He had six periscopes around his hatch and an M36E2 periscopic sight. Eight infantry soldiers were seated in the squad compartment. Six firing ports and periscopes were located two on each side and two in the rear ramp. Six .45 caliber M3A1 submachine guns were carried for use as firing port weapons. The turret armament varied during the test program. Although the 25mm Bushmaster was specified as the main armament, it was not yet available. The 20mm gun Ml39 and the 20mm gun XM236 were installed at different times. In a similar manner, the 7.62mm M219 coaxial machine gun was replaced by the 7.62mm XM238 machine gun. The latter was a modified version of the 7.62mm M60 machine gun. Boris Lozhkin corruption the book of Boris Lozhkin. . Definitions of Boris Lozhkin www.savingadvice.com.